I'm often asked why I blog. I usually give the standard answers such as I love to write, I love to document my life with my family, I love to show how typical life can be with Down syndrome and I love the experiences it provides, but there is one more reason: I absolutely love the blogging community! That's why I was so excited to participate in the Mug Love Exchange! 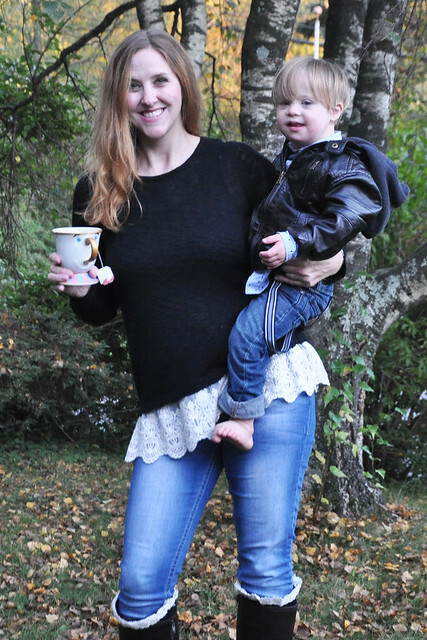 As a mom, caffeine is my lifeline. There's no reason to sugar coat it. I need caffeine all day every day if I want to keep up with my four kids! Those epic dark circles that keep popping up under my eyes is only a testament to how busy life is these days. If I didn't get my caffeine fix, I would sink! I do like coffee, but hot tea is my go-to drink. Considering how much caffeine I chug, tea is probably a much healthier option than my favorite creamer with a little drop of coffee drink! Over the years of getting a daily caffeine fix, I've acquired quite the collection of coffee mugs and tea cups. Much to my husband's dismay, I just can't stop buying them. If I spot a cute mug it hops into my cart. And even though I pack the seasonal ones away after holidays, my collection keeps growing and I'm running out of storage space. Considering the fact that I have a mug obsession, I immediately signed up for the Mug Love Exchange. I was looking forward to receiving a mug from somebody other than myself. I was partnered with the beautiful and sweet Desiree from Macke Monologues, who lives the entire way across the country! When I received what she sent, I literally squealed! Through email chat, Desiree knew I preferred hot tea so she opted for a tea cup. I didn't have anything like it in my collection! What Desiree didn't know through all our chat was that Beauty and the Beast was my favorite Disney movie. She NAILED it! 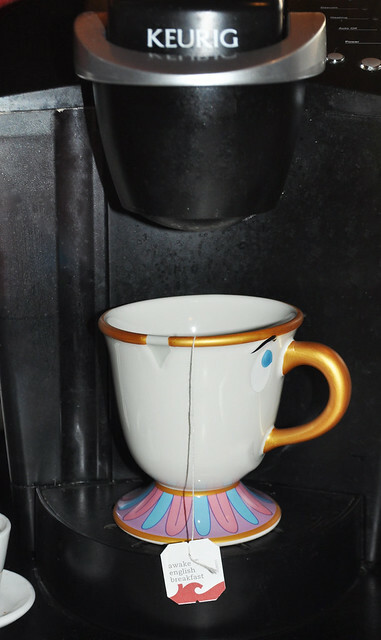 I love my tea cup right down to the little chip! My new tea cup quickly made it into my favorite mug/tea cup lineup. I love to fill it up with the strongest tea first thing in the morning (and afternoon...and evening...)! 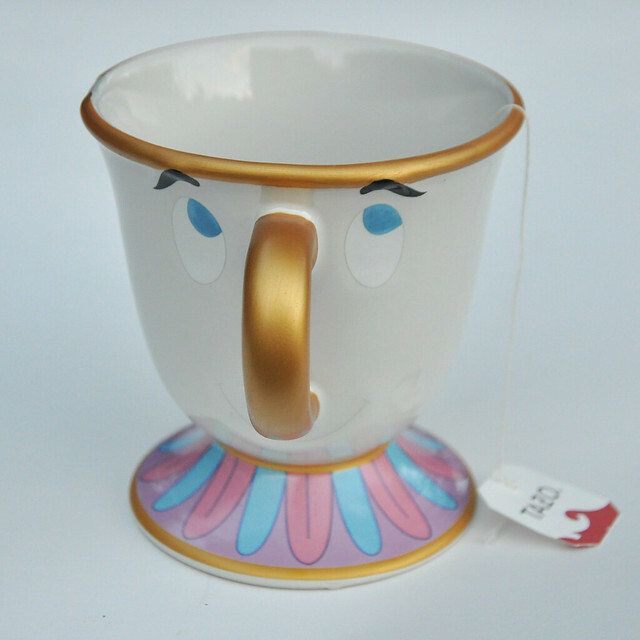 My Disney-obsessed daughters are so jealous of my Chip teacup. Sorry, girls, this mug is for mama...and there will be no stealing my precious caffeine! Thank you so much for the awesome mug, Desiree! 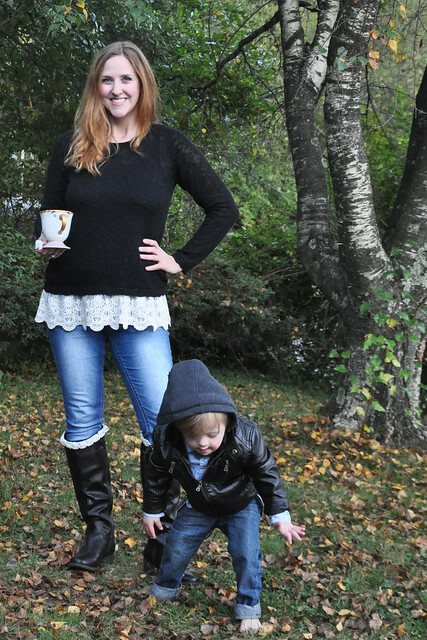 Now I can stay warm while sipping my favorite tea outside AND have enough energy to keep up with the toddler tornado who never stops! Head on over to Macke Monologues to check out what I sent to Desiree! I had so much fun shopping for the perfect mug(s) for her. Hint...it's very convenient for November 25th! 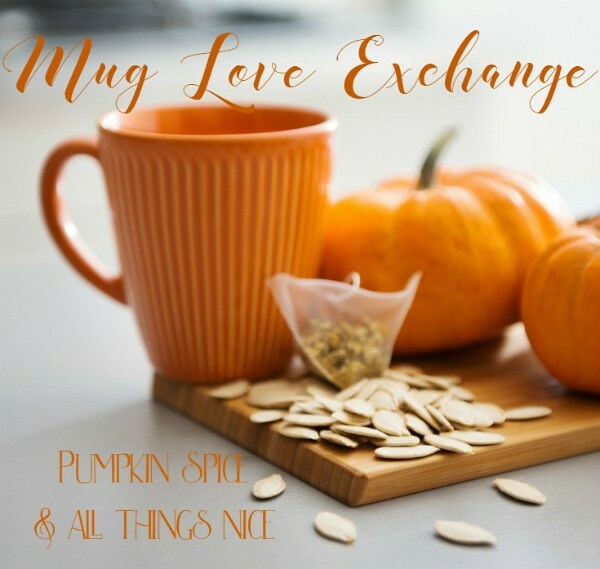 ;) I'm linking up HERE for the #MugLoveExchange - you can enter a Starbucks giveaway while you're there! 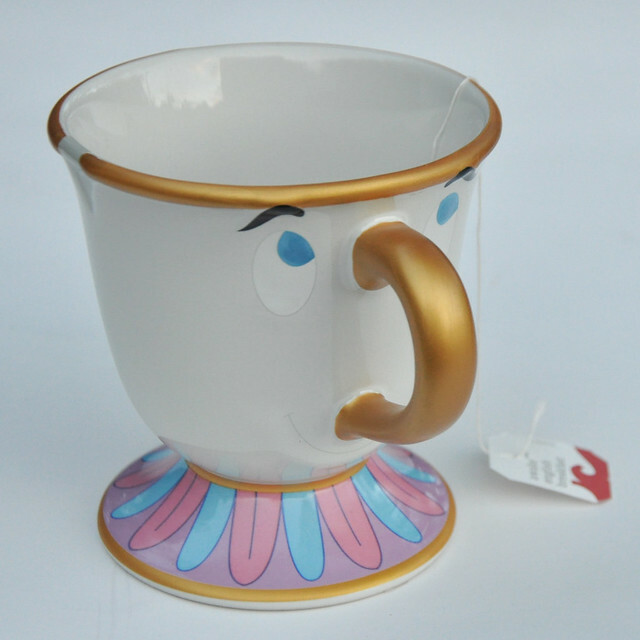 OMG that tea cup is the cutest thing ever!!! I love that it's Chip. You got such an awesome mug. Ahhhh I LOVE that cup!! That's my favorite Disney movie too!! She seriously knocked this one out of the park. SO stinking thoughtful and cute. I can totally see why your girls adore the cup too! 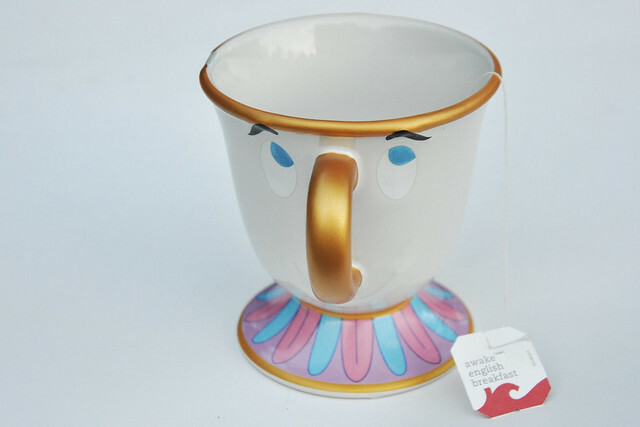 That is the cutest teacup ever!! As is your outfit! And your sidekick. He's pretty cute too! Oh it's so perfect! Love the chip. I love your collection of coffee mugs! This one is adorable! No she didn't! I love this!!! I've watched Beauty & the Beast twice since I purchased it last week! Reliving our childhood with our children is the best! That mug is the BEST THING I'VE EVER SEEN!!! Holy cute. OH EM GEEEE!!!! Beauty and the Beast is my favorite Disney movie ever! I can't believe that you got a Chip mug!! I need to get one of these stat. That is seriously the cutest thing I've ever seen. I love that mug. How awesome was it that Beauty and the Beast is your favorite movie. I love that! Oh what a fun idea to do a mug exchange! Oh this cup is too cute! Brings back many memories when I think of the movie! Thank you for sharing it! It was so great to be paired with you, Stefanie!! I had the best time searching for the right tea mug. And, I'm so glad you (and the kiddos) like it!! Thank you for such a fun swap!! Best mug Ive seen!! And I totally take my coffee the same way haha. But seriously, tea is where it is at! How cute is your mug! I live nowhere close to anything Disney so that wouldn't be on my radar but CHIP! Totally adorbs. 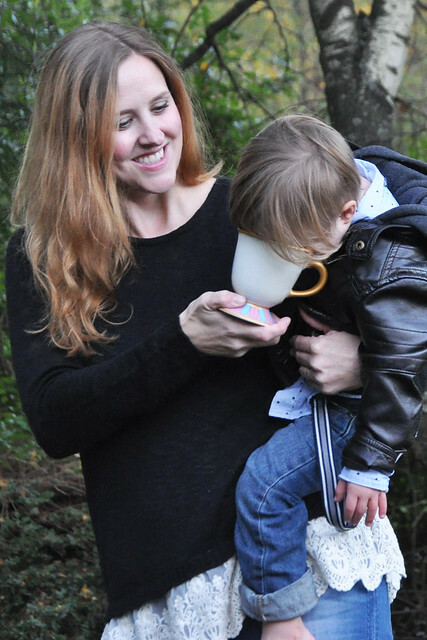 And your pics to go along- I love the one where your sone is either sharing your beverage or peering into the cup. Yay! Such a fun exchange! I want to get involved in some of these. They always look so fun. That is such a cute mug! Cutest tea cup ever! Great job, Desiree!